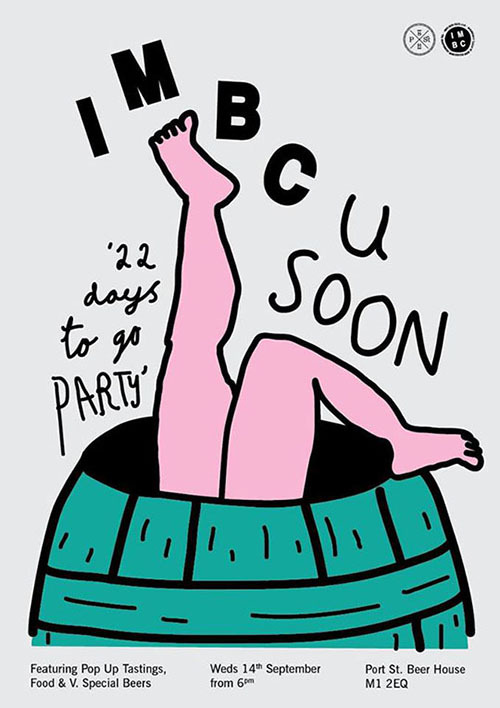 Expect a Port Street bar teaming with keg and cask from IMBC 16 sponsors, Cloudwater, Beavertown, Redchurch, Fourpure, Northern Monk, Siren Craft Brew, and Wild Beer Co. Alongside this rich haul we’ll have pop-up tastings on the night from some very special breweries including debut pours from Bristol’s newest brewery, Lost and Grounded. Food will be provided on the night from Epicerie Ludo, get down early to scoop free limited bumper cheese platters from Chorlton’s finest. Deli edibles will be provided gratis to the first fifty through the gates. 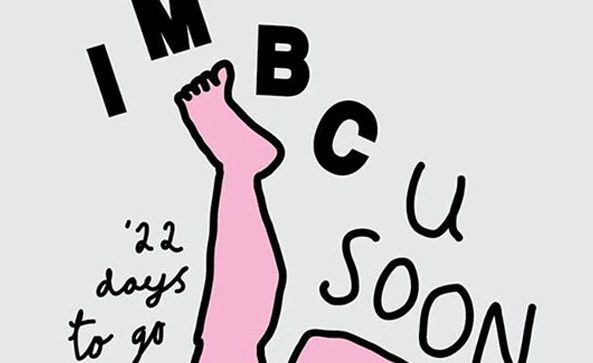 Wild Beer Co will be on hand to provide some very special pop-up tastings on the evening. 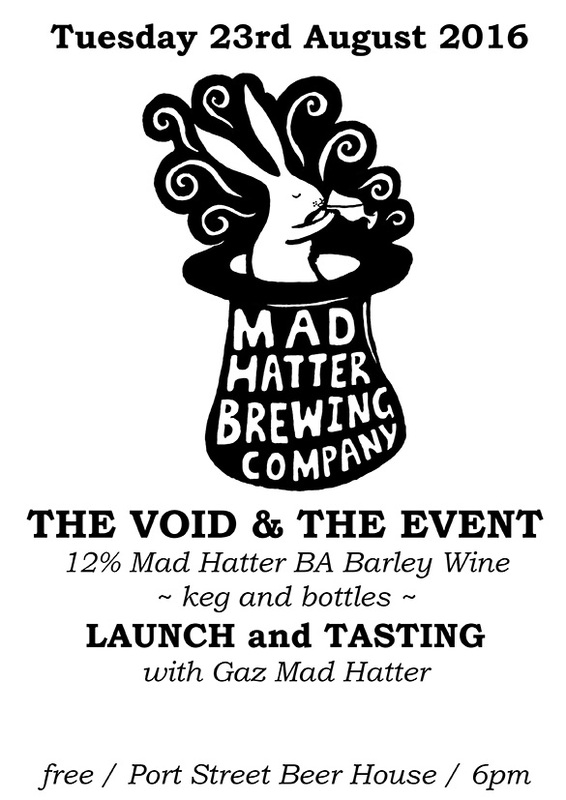 Join us for the launch of Mad Hatter‘s 12% barrel aged barley wine, The Void and The Event. Gaz from Mad Hatter will be on hand to talk you through their new beer and host small group tastings. Start your week off with a bang. 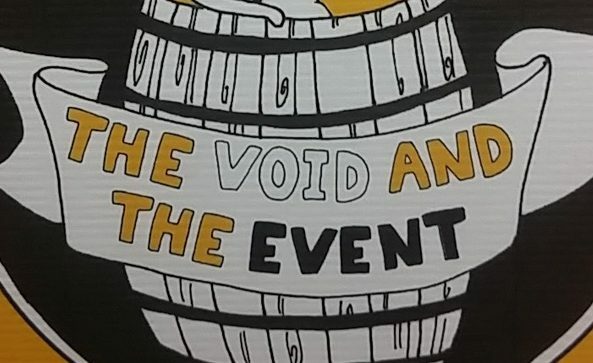 The Void and The Event will be available on the night on keg and in bottles. 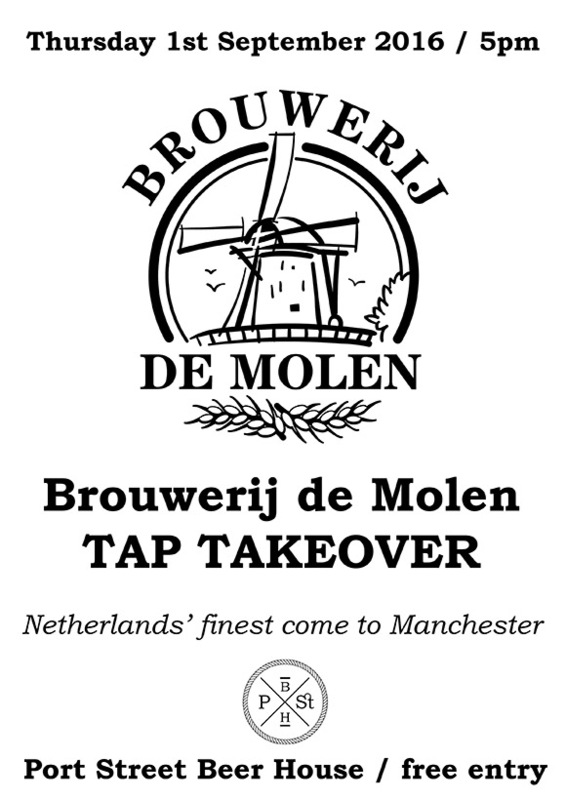 None more excited for a visit from the Dutch masters for this eagerly anticipated tap takeover. 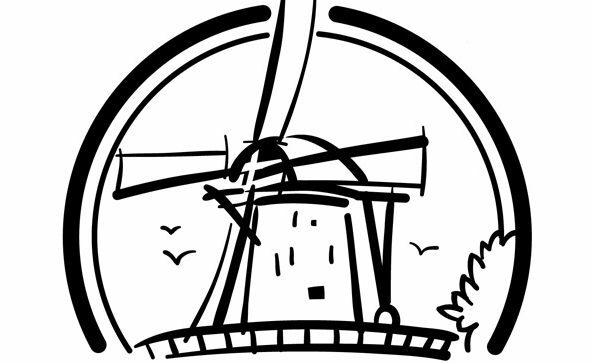 De Molen have been churning out the hits from their windmill base since 2004, world-famous for their large variety of (imperial) stouts, ales and smoked ales. De Molen are one of the most highly respected breweries operating in the craft world today. Expect De Molen bottles galore as well! 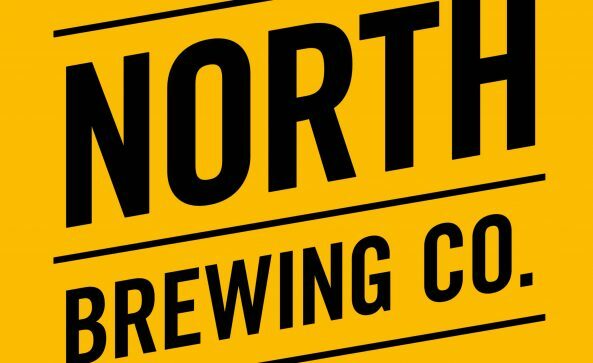 We are honoured to welcome Leeds’ North Brewing Co across the pennines for a special tap takeover at Port Street. Set up by the pioneering Leeds-based bar group North Bar Ltd and the successful team behind Belgrave Music Hall and Headrow House, North Brewing Co (and taproom) opened in November 2015 at Taverner’s Walk Industrial Estate on the fringe of Leeds City Centre and initially serviced the eight bars currently operated by the two bar groups. Brewers Seb Brink (formerly of Golden Owl) and Darius Darwell (of Bristol Beer Factory) are behind the recipes of the beers, which vary from classic British styles to exciting and interesting flavour combinations. The team have collaborated with a number of breweries in recent months, including Drygate Brewery in Glasgow and most recently brewing a Yorkshire rhubarb sour beer with Lervig Brewery from Norway. North have got a collaboration lined up with BrewDog and the Port Street team recently took a trip to Leeds to make a beer with North that you’ll be able to taste for the first time at this tap takeover.